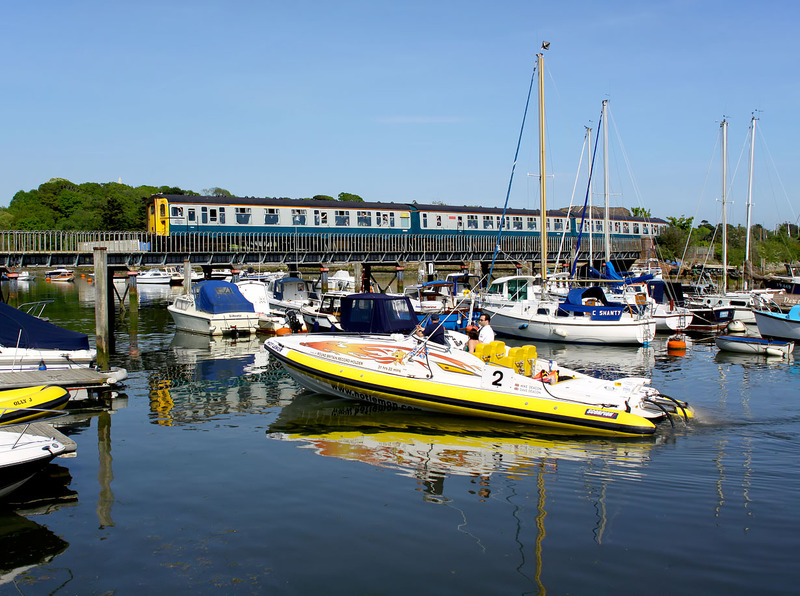 Class 421 3-CIG 1497 Freshwater crosses Lymington Harbour with the 16:14 Lymington Pier to Brockenhurst service on 22 May 2010, during the final day of slam door EMU operations. Mike and Dave Deacon's record breaking powerboat 'Hot Lemon V' in the foreground was just about to be fork lifted out of the water. In 2005 they broke the record for traveling round the coast of Britain - in a little over 31 hours!